Click image for more product information. All March we are offering you the chance to get a free Thermometer for your home which can help you to save on your energy bills. All you got to do to avail of this offer is spend more than 10 Euro and insert the discount code outlined below. 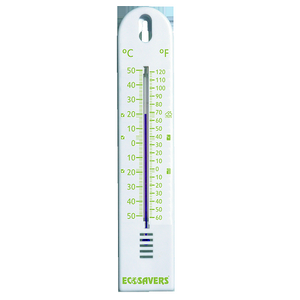 The Ecosavers thermometer has built markings with the recommended temperature in celcius and fahrenheit for your fridge, your freezer and for room temperature.